The presenting pair were both due to take part in a charity fashion show, in order to raise awareness for period poverty and FGM – female genital mutilation. Nadia and Stacey had already confessed that they were ‘bricking it’ about taking to the catwalk for London Fashion Week for the very first time. But things got worse for Nadia, when Stacey was forced to pull out of the show just hours before it was set to to ahead, due to an unexpected work commitment. Just before the show, 28-year-old Stacey was called out to film at X Factor judge Ayda Field’s house for the Judge’s Houses segment of the show. 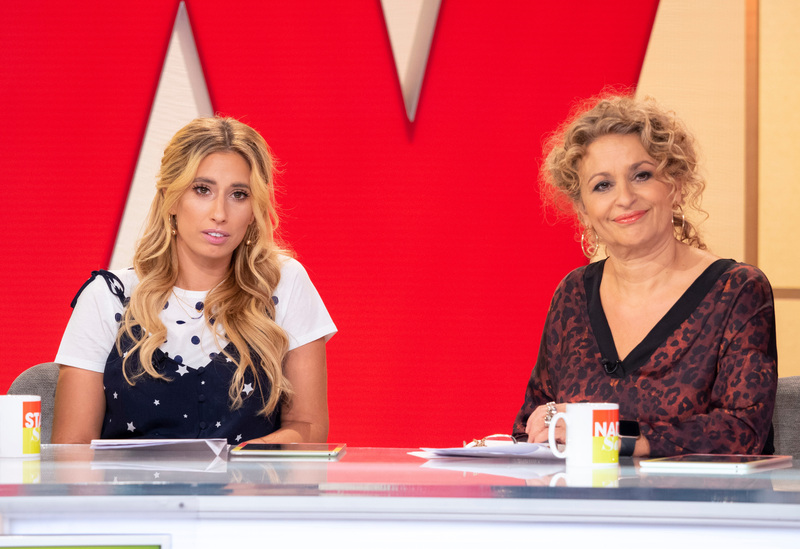 The hiring is no surprise, given that Stacey and Ayda are close friends, and Ayda regularly appears alongside her on Loose Women. But when Stacey told Nadia she wouldn’t be appearing to help her take to the catwalk, Nadia confessed that she broke down in fear – leaving herself questioning why she was taking part in the event. But Stacey was quick to send a sweet message of support to her co-star, telling fans at the airport, ‘”Cheer on Nadia – she’s a bag of nerves but i know she will rock the catwalk! Am so sorry to miss this but wish you all a wonderful event, Love Stacey x”. Even minutes before the show was set to start, Nadia admitted that she was still terrified about the prospect of modelling on the catwalk. Taking to her Instagram, she said, “I’m in the toilet. Because now I’m having to pretend to everyone outside that I’m really confident about going out to the catwalk, but I am not! I’m just pretending”. However, it seems that mum-of-two Nadia was able to muster up enough courage to strut her stuff, revealing that her hair and make-up helped her to finally feel the part of a supermodel. She revealed, “But once the fab makeup artist and stylists and Raishma got to work, they made me feel like Cinderella. 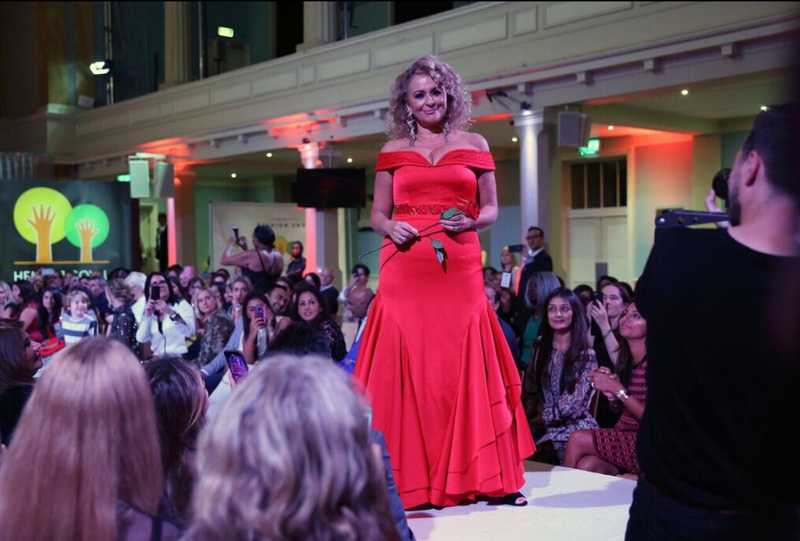 She then strutted her stuff on the catwalk in a stunning red Raishma gown, and heels by Aruba Seth. Her accessories were provided by ethical gemsmith Fatz K and vegan urban brand, Haze. Reflecting on the event afterwards, Nadia said, “The event was for FGM – female genital mutilation which is a heart breaking and horrifying practice and has to stop. We also raised awareness for period poverty – every woman shout have menstrual dignity. The event Nadia attended was organised by leading children’s charity the Hemraj Goyal Foundation, in partnership with the National FGM Centre (a Barnardo’s and Local Government Association partnership) and period poverty charity BINTI International.